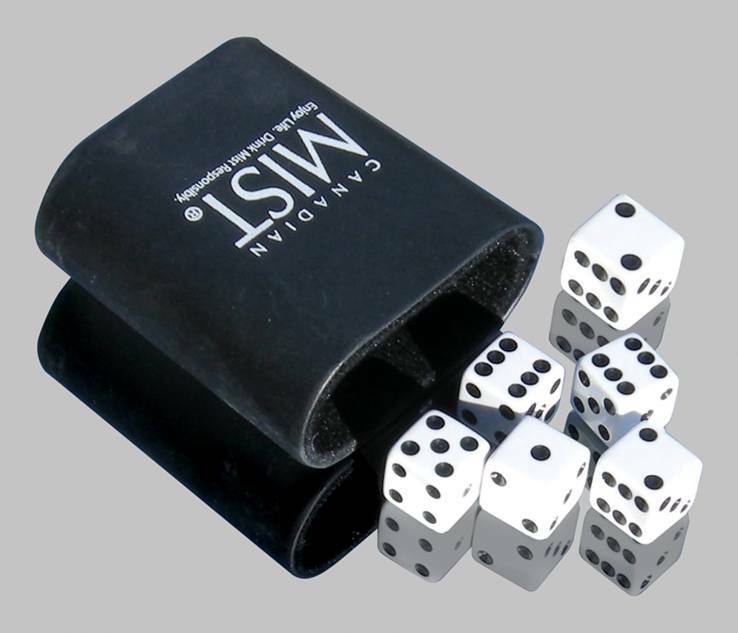 Our 5 Chances Dice Game with your logo custom-imprinted on the Dice Cup makes a great promotional giveaway. Each Custom Dice Cup Game comes complete with 1 Imprinted Round Dice Cup, 1 - ¾" die, and 5 - 5/8" dice. Your satisfaction is guaranteed when you order with Game Parts.